The European Free Alliance (EFA) and Centre Maurits Coppieters took part in an international delegation upon the invitation of the European Federation of West Thrace Turks (ABTTF) for a fact finding mission in W.Thrace, Greece. The main goal of the visit, which took place from the 21st to the 25th of September, was to assess the situation of the Turkish minority and highlight the severe human rights violations it is currently sustaining. EFA Vice President and Coppieters Treasurer Miguel Martinez Tomey, together with MEPs Nils Torvalds and Pal Csaky and representatives of international NGOs, had the opportunity to meet with EFA member party DEB and various other organizations to get in-depth information about the problems Greek citizens of Turkish origin face: To name a few, Greece still refuses to register organizations that bear the word “Turkish” in their name, unilaterally appoints the minority’s religious leaders (muftis) instead of encouraging their democratic election and intervenes enormously when it comes to issues related to language, minority education and property. “It has been said many times in the past, but this is a situation unworthy of a civilized country, a member of the EU. Greece should finally listen to the demands of its Turkish minority in an open and constructive manner and stop avoiding any kind of dialogue. We are talking about peaceful Greek citizens who just wish to claim their human rights, nothing more and nothing less, and it is very sad to see them caught in the everlasting political saga between Athens and Ankara,” highlights Miguel Martinez Tomey. He and the other members of the international delegation will draft a report that will be presented to the Greek authorities and the European Parliament in the spring of 2017. At the UN a group of humanist NGOs have called on Greece to decriminalise blasphemy in the country and ensure that incitement to racial hatred is outlawed. During the 33rd session of the UN Human Rights Council, Cordelia Tucker O’Sullivan, on behalf of the Humanist Union of Greece (HUG), the British Humanist Association (BHA), the European Humanist Federation (EHF) and the International Humanist and Ethical Union (IHEU) made a statement supporting Brazil’s call to decriminalise blasphemy, to prohibit the dissemination of ideas relating to racial superiority or hatred and declare illegal organisations who incite racial discrimination, as recommended by a number of UN experts. This follows an open letter sent to Greece’s Ministry of Justice in June, by dozens of humanist and secularist organizations, including the IHEU, the EHF and HUG, which called on the Greek government to follow through on its commitment to freedom of thought and expression, and finally abolish its “blasphemy” laws. Panayote Dimitras, Spokesperson of the Humanist Union of Greece, commented, “This statement marked the first time that non-governmental organisations raised before the Human Rights Council the need for Greece to bring its human rights legislation up to contemporary standards; i.e. by decriminalizing blasphemy and re-criminalizing racist hate speech. Until now, it has only been UN Treaty Bodies that have addressed these issues in Greece. The group of humanist organisations also submitted a written statement on the issue. I give this statement on behalf of the International Humanist and Ethical Union, the European Humanist Federation, the Humanist Union of Greece, and the British Humanist Association. Our organisations welcome the UN CERD’s concluding observations on the periodic reports of Greece published on 29 August 2016, and request that the recommendations raised therein are accepted by Greece and integrated into their legal framework. Ensure that they follow through with their commitment to ensure religious freedom and tolerance by decriminalising blasphemy, as recommended by the delegation of Brazil , and abolish articles 198 and 199 from its Criminal Code that are used in a discriminatory manner only in cases of blasphemy against the official Orthodox Christian religion, as recommended by the UN CERD. What can we learn from the Greek experience of the refugee crisis? “What can we learn from the Greek experience of the refugee crisis?” is the question I was asked to address today. It would not be unfair and exaggerated to state that indeed probably most Europeans, or at least most European leaders, are demonstratively unwilling to learn anything. This is why they are pursuing, or supporting, or at least passively tolerating policies that are a mockery of European values and often bluntly hypocritical. However, we who are gathered here, most if not all humanists, in fact passionate humanists, have a profound desire to learn from the refugee crisis and take action to help better manage it forcing the indifferent Europeans to change their practices and policies. So, let us first correct the title of my speech, and the title of so many media stories. This is not a Greek refugee crisis! It is a European refugee crisis! Therefore, when reviewing the experience from that crisis we cannot limit it to a mere Greek experience but reflect on the indivisible European experience. Indeed, Greece, which has a dismal overall human rights record, perhaps the worst in the EU, could for once legitimately claim that the “Greek refugee crisis” is in fact to a very large extent a European refugee crisis imposed upon Greece. For all practical purposes Greece was ordered by Brussels in March 2016 to warehouse refugees, preferably in island “hotspots,” with living conditions “unfit for animals” to quote Human Rights Watch. That statement was made on 20 September 2016, the day after a fire at Moria, Greece’s biggest refugee “hotspot,” situated on the island of Lesbos. The fire swept through the facility, destroying tents and shelters, and prompting the evacuation of some 4,400 residents, including dozens of unaccompanied children. Several people reportedly suffered light injuries from the fire. The cause of the fire is still unknown and may remain forever unknown. It appears to have started during a refugee protest against conditions at the facility. The fire also occurred against a backdrop of far-right extremism and anti-immigrant rhetoric. On the day of the fire, some 500 local residents protested the migrants’ presence on Lesbos. At a similar protest last week in Chios, journalists covering the event were attacked. Well-known local members of the Nazi party Golden Dawn were seen to be among the leaders of these protests. Several NGOs have documented severely overcrowded and filthy conditions in Moria and on other islands, where police fail to protect camp residents –including women and children– from violence (including sexual violence) and harassment. The NGO community working on the refugee crisis had warned that the longer people are forced to live in such conditions, the more likely it is for tensions to build and violence to erupt. Indeed, several violent incidents have occurred in recent weeks in several such island stockpiles of desperate human beings who, in addition to the terrible living conditions, also have no idea what their future will be. How did we reach this situation? Since the beginning of 2015 over one million refugees/migrants arrived by sea to Greece with the aim to continue to other European countries. Some 60,000 of them failed and were stranded in Greece following the closure of the Balkans route in March 2016. Today some 13,000 of these 60,000 are stranded, as per EU orders I repeat, in islands near Turkey. Greek central government authorities functioned mainly as “monitors” of the phenomenon. They failed to provide almost all services and rights to those persons. These refugees benefitted mainly from the massive assistance offered by civil society -including Greek and international NGOs- and occasional local administration. This was a surprising but not unprecedented development in the country with EU’s most xenophobic public opinion (along with Hungary). Greek authorities have gladly joined the EU-Turkey agreement aiming at stopping the refugee flows in ways that demonstratively violate the refugees’ fundamental rights in order to massively return refuges to Turkey. Refugees “responded” with the filing of asylum applications by the thousands, which prevented their immediate expulsion back to Turkey. Asylum services then started rejecting these applications claiming that Turkey is a “safe country,” in a blatant disregard of European-wide case law to the contrary. Asylum appeals committee subsequently started overturning these decisions, correctly arguing that Turkey cannot be considered safe. The government’s response, again under EU pressure, was to change the law so as to introduce new asylum appeals committees dominated by judges from Greek courts. Those courts though have a cumulative negative record on upholding the human rights of refugees, as reflected in scores of judgments by the European Court of Human Rights finding Greece in violation of such rights. By end-summer, those appeals, in the thousands, and soon to exceed ten thousand, remained pending. However, the largest number of refugees has become the object of pre-registration that gives them a temporary residence permit for up to twelve months, time considered necessary for the asylum services to process their applications. With the prospect that they will spend most of the new school year in Greece, and with the encouragement of Greek authorities, refugee families registered their children in regular schools. They will attend separate classes tailored for them, similar to the special classes for Roma when they first attend Greek schools. In most localities around Greece, this integration of refugee children in the mainstream education was welcomed. But in a dozen cities, local societies often under the leadership of the mayors and/or the city councils, and lacking any preparation to adapt themselves to the new developments and quell any fears, are opposed to this integration threatening inter alia to close the schools. The central authorities’ reaction through October 2016 will show if there is a determination to eradicate such racist reactions. In any case, the leading anti-racism litigation-oriented NGO, Greek Helsinki Monitor (that I also represent) is reporting these public reactions to the Special Prosecutor for Racist Crimes. In the meantime, after March 2016, the flow of refugees to Greece from Turkey was marginalized, as a result of the closing of the Greek-Macedonian border to them, as new routes to EU countries mainly through Libya to Italy started being used by the refugees. Then came the coup in Turkey, followed by the crackdown by the Erdogan regime. Soon after, the number of refugees crossing to Greece from Turkey started to slowly but steadily grow, reaching a daily average of 100. It is feared that it may become more substantial again. That will overburden the asylum services. It will also as much as double the number of refugees stranded in Greece, while waiting for ways to join relatives of fellow refugees in other European countries. Hardly any of those refugees want to settle as refugee in Greece, as the state has no facilities and no assistance for them. The EU’s response to that crisis was an act of utter hypocrisy. Two major commitments that would have helped alleviate Greece’s burden appear to day to be a smokescreen. The member countries pledged to send some 400 persons to increase the capacity of Greece’s asylum service. Today, six months later, there are only 35! Worse, exactly a year ago, in late September 2015, EU member states agreed on a temporary scheme to distribute responsibility for receiving asylum-seekers more evenly between European countries. They announced the establishment of a two-year emergency relocation mechanism to relieve the pressure on frontline states hosting large numbers of people in need of international protection. In the case of Greece, the final commitment by other EU member states was to take in 66,400 asylum-seekers, divided between them according to pre-set quotas. However, the promised effort to relocate asylum-seekers from temporary shelters in Greece to more permanent homes in other European countries has so far largely failed to materialize. The numbers speak for themselves. As of 14 September 2016, only 3,734 asylum-seekers have left Greece for other European countries, that is 5% of the number pledged by the EU a year ago. Worse, the total number of concrete places pledged by individual member-countries as of 30 August 2016 was a mere 7,106. What is the credibility of heads of state who are seen on television signing a pledge to relocate 66,000 refugees and, when the cameras are no longer there, provide concrete pledges for a mere 7,000 refugees? And it is not just the Central European member-countries that have failed to honor their signatures. Europe’s responsibility is that they forced Greece to warehouse 13,000 refugees in islands and house an additional 47,000 refugees in the mainland. Greece’s responsibility is that, despite the EU funds available, it has failed, or probably has deliberately decided not, to provide adequate human living conditions to the vast majority of those refugees. The consequences on the physical and mental wellbeing of children and heads of households, waiting forever for relocation or asylum, are immense. Amnesty International found individuals experiencing prolonged family separation who were suffering not only from the trauma of the war in their war-torn countries, but also from acute stress, anxiety and depression acquired in the EU country of Greece. Their God did not listen and the European countries are forced to integrate, even if only temporarily, the millions of refugees that have arrived since 2015. They must adopt a sincere strategy on how to do this and educate their people why such action will be beneficial given the demographic decline of their populations, so as to counter the populist and extreme right exploitation of the refugee crisis across the continent. After all, the Greek –and just Greek- experience here may be helpful. The Nazi party Golden Dawn did not gain any strength since the beginning of the crisis, as opinion polls show that it just holds on its January and September 2015 percentages. Yet, I cannot conclude on an optimistic note. I cannot anticipate that the EU leaders will make soon that necessary U-turn. What I hope is that all those who hold dear to their hearts the humanist values, and more generally the democratic and human rights principles on which both the European civilizations and the EU itself are based, will go on struggling. Struggling to promote those values and to defend human rights aiming at, to the extent possible, derailing the current disastrous EU practices if not policies. Then the hope is that the derailed European train will be sidetracked towards a better direction. 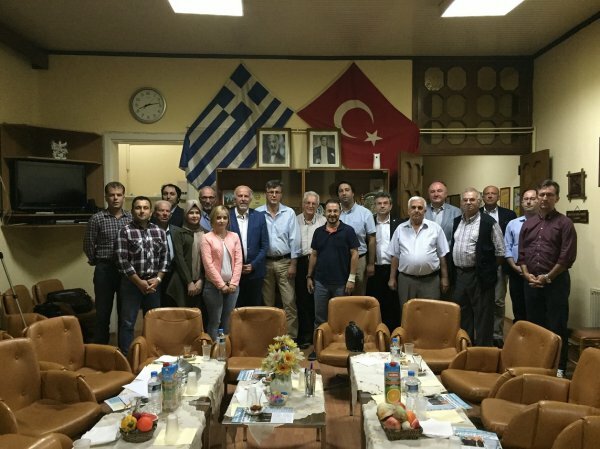 On 22 September 2016 UNPO concluded a 4-day fact-finding mission to Western Thrace, during which first-hand evidence of the conditions and treatment of the Turkish minority in Greece was collected. The mission was organised by the Federation of Western Thrace Turks in Europe (ABTTF) and included delegates from UNPO, Centre Maurits Coppieters (CMC), Greek Helsinki Monitor and Members of the European Parliament Nils Torvalds (ALDE, Finland) and Pál Csáky (EPP, Slovakia). A comprehensive report on the findings and recommendations of the mission will be presented to Greek and EU institutions in early 2017. From 19 to 22 September 2016, a 4-day fact-finding mission was conducted to Western Thrace, the Greek region that is most densely populated by ethnic Turks. The conclusions to be drawn from this mission were deeply worrying, especially with regards to the issues of freedom of association and freedom of belief. Despite various calls from the community for recognition and fair treatment, backed by rulings by the European Court for Human Rights (ECtHR) in their favour, the situation remains stagnant, with the Greek authorities refusing to officially recognise any minority other than a Muslim one, provided for in the almost one century old Treaty of Lausanne (1923). The mission delegates had the opportunity to meet a wide range of influential activist groups, including civil society organisations and the Friendship, Equality and Peace political party. The discussions focussed primarily on educational and religious autonomy and the struggle for legal recognition. A discussion with elected mufti of Komotini highlighted the problem of religious autonomy as he pointed to how muftis are selected by the Greek authorities and how Imams lack official recognition. Visits to both Komotini and Xanthi further highlighted the issue of the lack of freedom of belief as some of the mosques in these areas had been attacked or construction had been stopped. This is but one example of the harassment ethnic Turks are victims of the by police and Greek nationalists. The mission delegates also engaged in a discussion with the Komotini Turkish Youth Union, whereby the evergreen issue of legal recognition for ethnic Turks in Greece was raised. Greece has no official recognition of any indigenous group, and in doing so the state is denying them vital forms of minority protection. Greece only allows an individual’s right to self-identification, in doing so attempting to deny the existence of the ethnic Turkish community. In addition to this, Greek authorities only recognise a Muslim minority as stated in the 1923 Treaty of Lausanne, which is problematic in that not all members of the Turkish minority are Muslim, leaving many individuals in a legal limbo seeking state recognition and protection. 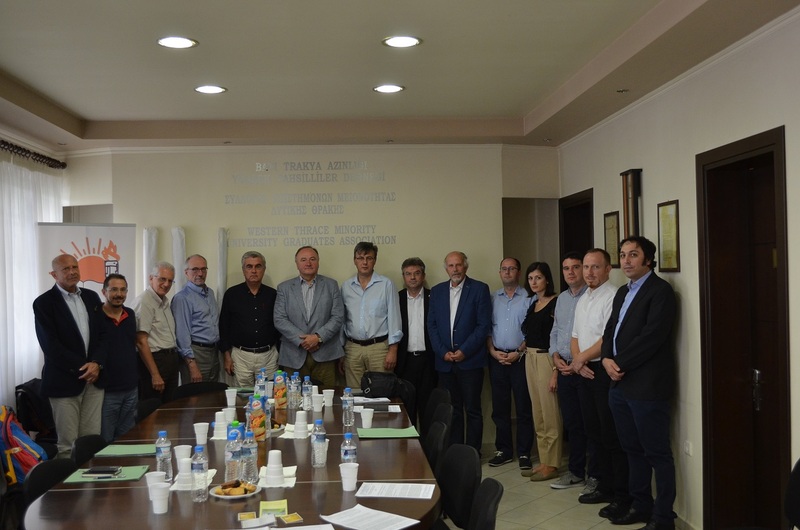 Furthermore, the fact-finding mission included a joint meeting with the Culture and Education Foundation of Western Thrace Minority and the Western Thrace Turkish Teachers Union, who pointed to the urgency of the issue of educational autonomy. The number of bilingual schools and kindergartens for minority children is dwindling, and for the few that remain the quality of education falls far below a satisfactory level. Unfortunately, this places severe limitations on the youth of Western Thrace: despite a 0.5% quota in universities in Greece, most Turkish speakers still do not manage to gain access to higher education. Overall, the four-day fact-finding mission to Western Thrace confirmed that the situation of ethnic Turks in Greece is increasingly worrying and requires urgent attention. A comprehensive report on the findings and recommendations will be compiled in the coming months, and then be presented to Greek and EU Institutions, in the hopes of bringing the issue of ethnic Turks of Western Thrace into the spotlight. In March 2016, UNPO in cooperation with ABTTF convened a conference at the European Parliament addressing the issue of freedom of association in Greece. For a summary of the event, click here. A comprehensive conference report was published in June 2016. To download the full report, click here. During the fact-finding mission organized by ABTTF, the members of the European Parliament and representatives of the international non-governmental organizations examined on the ground the problems of the Turkish Minority of Western-Thrace in Greece and collected first-hand evidence. 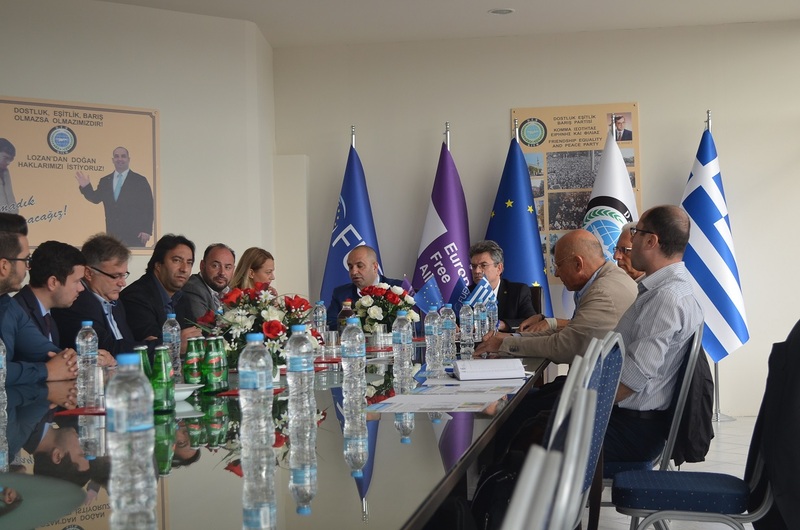 The Federation of Western Thrace Turks in Europe (ABTTF) organized from 19 to 22 September 2016 a fact finding mission to Western Thrace which included the two members of the European Parliament (MEP) and representatives of the international non-governmental organizations (NGOs). During the mission, the delegation observed on the spot the basic and current problems of the Turkish Minority of Western Thrace. The mission delegation was headed by the ABTTF President Halit Habip Oğlu and composed of Nils Torvalds MEP (ALDE) who belongs to the Swedish-speaking minority in Finland, Pal Csaky MEP (EPP) who belongs to the Hungarian minority in Slovakia, Marino Busdachin, Secretary General of the Unrepresented Nations and Peoples Organization (UNPO), Miguel Martinez Tomey, Member of the Board of Centre Maurits Coppieters (CMC) and Vice-President of the European Free Alliance (EFA) and Panayote Dimitras, Spokesperson of the Greek Helsinki Monitor (GHM) which is one of the leading NGOs dealing with human and minority rights in Greece. On the first day of the fact-finding mission attended also by Mehmet Hüseyin, ABTTF Vice-President, K. Engin Soyyılmaz, ABTTF Head Office Manager and Ali Ali Çavuş, Member of the ABTTF International Affairs and Lobbying Group, the delegation first visited the Elected Mufti of Komotini İbrahim Şerif in his office. Afterwards, the delegation had a joint meeting with the Culture and Education Foundation of Western Thrace Minority, the Western Thrace Minority University Graduates Association and the Western Thrace Turkish Teachers Union to hear the problems in the field of education. Later on, the delegation visited the Komotini Turkish Youth Union and obtained information on the historical and legal struggle of the association which was closed down by the Greek authorities on the grounds that its title contained the word “Turkish”. After visiting the Turkish and Greek villages in Komotini, the delegation met with the Xanthi Turkish Union and listened to the legal struggle of the association which was also closed down due to the word “Turkish” in its title and won the case before the European Court of Human Rights after more than twenty years. In the evening, the delegation also came together with the representatives of the Turkish minority media in the premises of the Western Thrace Turkish Teachers Union. The fact-finding mission continued on 21 September with the delegates from the international NGOs as the MEPs had to leave due to their heavy agenda. On the second day of the mission, the representatives of UNPO, CMC and GHM first visited the headquarters of the single political party of the Turkish Minority of Western Thrace, the Friendship, Equality and Peace (FEP) Party in Komotini, which is also a member of EFA. During the meeting, the FEP Party provided the delegation with detailed information on the official state policy of Greece towards the Turkish minority and underlined this policy containing many problematic issues in itself should be changed urgently. 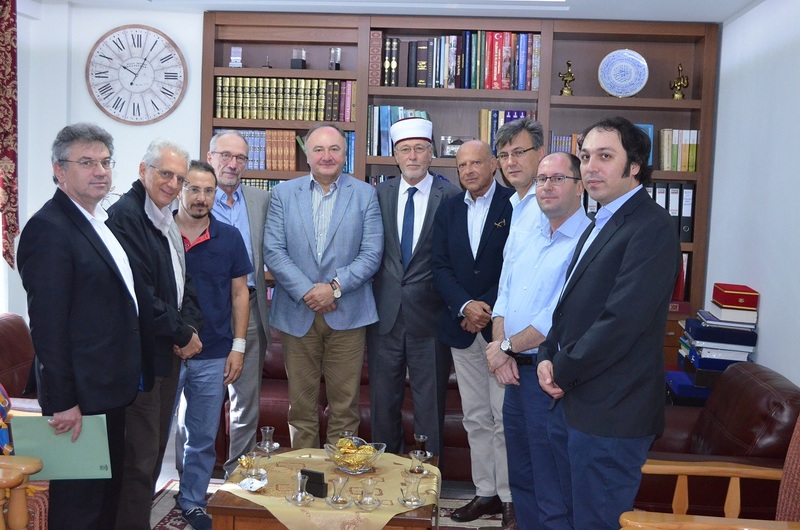 Afterwards, the delegation visited the Turkish minority association, the Sports, Culture and Education Association of Didymoteicho Muslims and the Çelebi Sultan Mehmet Mosque (Beyazıt Mosque), and obtained information on the situation of the persons belonging to the Turkish Minority of Western Thrace who live in the city of Didymoteicho and its neighbourhood. Η Επιτροπή διατυπώνει την ανησυχία της καθώς το συμβαλλόμενο Κράτος αναγνωρίζει ως μοναδική μειονότητα τη Μουσουλμανική Θρησκευτική Μειονότητα της Δυτικής Θράκης. Η Επιτροπή σημειώνει επιπλέον την απουσία στατιστικών που να αφορούν τη σύνθεση του πληθυσμού του συμβαλλόμενου Κράτους. Η Επιτροπή ανησυχεί επίσης για τις συνεχιζόμενες διακρίσεις που λαμβάνουν χώρα στο συμβαλλόμενο Κράτος εις βάρος των μεταναστών αλλά και των Ρομά, ιδίως στους τομείς της απασχόλησης, της εκπαίδευσης, της υγειονομικής περίθαλψης και της στέγασης (άρθρο 2, παρ. 2). Η Επιτροπή συστήνει στο συμβαλλόμενο Κράτος τη συλλογή στατιστικών δεδομένων όσον αφορά την πληθυσμιακή σύνθεση, στη βάση εκούσιου αυτοπροσδιορισμού, με προοπτική τη διαμόρφωση, εφαρμογή και παρακολούθηση στοχευόμενων και συντονισμένων προγραμμάτων και πολιτικών σε εθνικό και τοπικό επίπεδο, με σκοπό την ικανοποίηση των οικονομικών, κοινωνικών και πολιτιστικών δικαιωμάτων. Υπό αυτήν την άποψη, η Επιτροπή, παραπέμποντας στην γενική της σύσταση Νο. 20 (2009) για τη μη-διάκριση όσον αφορά τα οικονομικά, κοινωνικά και πολιτιστικά δικαιώματα, ενθαρρύνει το συμβαλλόμενο Κράτος να αναθεωρήσει τη στενή ερμηνεία του όρου «μειονότητες» και συστήνει στο συμβαλλόμενο Κράτος τη λήψη αποφασιστικών μέτρων για την αναγνώριση όλων των μειονοτήτων προκειμένου να προστατέψει πλήρως τα δικαιώματά τους, περιλαμβανομένων εκείνων της γλώσσας, της θρησκείας, της κουλτούρας και της ταυτότητάς τους. Ενώ καλωσορίζει τη δήλωση του συμβαλλόμενου κράτους πως η έλλειψη επίσημης αναγνώρισης άλλων μειονοτήτων, εκτός από τη μουσουλμανική μειονότητα της Θράκης, στην επικράτειά του δεν εμποδίζει την υιοθέτηση κατάλληλων πολιτικών που να αποσκοπούν στη διατήρηση και προώθηση της πολιτισμικής ποικιλομορφίας και δεν παρεμποδίζει το δικαίωμα των ατόμων στον ελεύθερο αυτοπροσδιορισμό, η Επιτροπή ανησυχεί για τις ανεπαρκείς εγγυήσεις για την ισότιμη και ουσιαστική απόλαυση της κουλτούρας, της έκφρασης και πρακτικής του θρησκεύματος και της χρήσης της γλώσσας από όλα τα πρόσωπα, συμπεριλαμβανομένων και εκείνων που διεκδικούν να ανήκουν σε εθνοτικές, θρησκευτικές ή γλωσσικές μειονότητες. Η Επιτροπή εκφράζει επίσης την ανησυχία της για την έλλειψη στατιστικών δεδομένων που να καταδεικνύουν την εθνοτική και πολιτισμική σύνθεση του συμβαλλόμενου κράτους, τη χρήση των μητρικών γλωσσών και των καθομιλούμενων γλωσσών (αρθ. 26 και 27). Το συμβαλλόμενο κράτος πρέπει να διασφαλίσει ότι όλα τα πρόσωπα προστατεύονται αποτελεσματικά ενάντια σε κάθε μορφή διάκρισης και μπορούν να απολαμβάνουν πλήρως τα δικαιώματά τους που απορρέουν από το Σύμφωνο, συμπεριλαμβανομένου του άρθρου 27. Η Επιτροπή ανησυχεί για την έλλειψη στατιστικών στοιχείων σχετικά με την απόλαυση των δικαιωμάτων της Σύμβασης από όλες τις εθνοτικές ομάδες και τις θρησκευτικές μειονότητες στο Συμβαλλόμενο Κράτος (αρθ. 1). Υπενθυμίζοντας τη γενική της σύσταση Αρ. 8 (1990), σχετικά με την ερμηνεία και εφαρμογή του άρθρου 1 (1) και (4) της Σύμβασης, και τις αναθεωρημένες κατευθυντήριες γραμμές αναφοράς (CERD/C/2007/1, παρ. 10 και 12), η Επιτροπή συνιστά στο Συμβαλλόμενο Κράτος να διαφοροποιήσει τις δραστηριότητες συλλογής δεδομένων, με βάση την ανωνυμία και τον αυτοπροσδιορισμό των ατόμων και των ομάδων, για την παροχή επαρκούς εμπειρικής βάσης για τις πολιτικές για την ενίσχυση της ίσης απόλαυσης όλων των δικαιωμάτων που κατοχυρώνονται στη Σύμβαση. Υπενθυμίζει ότι αξιόπιστες, λεπτομερείς κοινωνικοοικονομικές πληροφορίες είναι απαραίτητες για την παρακολούθηση και την αξιολόγηση των πολιτικών υπέρ των μειονοτήτων και για την αξιολόγηση της εφαρμογής της Σύμβασης, και ζητεί από το Συμβαλλόμενο Κράτος να παράσχει αυτά τα αναλυτικά στοιχεία στην επόμενη έκθεσή του. Η Επιτροπή ανησυχεί γιατί οι Μουσουλμάνοι που ζουν στην περιοχή της Θράκης που καλύπτονται από το διατάξεις της Συνθήκης της Λωζάννης του 1923 και οι οποίοι ανήκουν σε διάφορες εθνότητες αναγνωρίζονται μόνο ως θρησκευτική μειονότητα από το Συμβαλλόμενο Κράτος. Η Επιτροπή ανησυχεί επίσης ότι και για άλλους Μουσουλμάνους, συμπεριλαμβανομένων εκείνων που ζουν στα νησιά της Ρόδου και της Κω, που δεν καλύπτονται από τη Συνθήκη της Λωζάννης, μπορεί να αμφισβητείται το δικαίωμα στον αυτοπροσδιορισμό και ως εκ τούτου δεν μπορούν να απολαύσουν πλήρως τα δικαιώματά τους που απορρέουν από τη Σύμβαση. Ως αποτέλεσμα, η αποτελεσματική απόλαυση, από άτομα που ανήκουν σε εθνοτικές μειονότητες, των δικαιωμάτων τους στη διατήρηση της γλώσσας τους, του πολιτισμού τους και της ελευθερίας του συνεταιρίζεσθαι είναι περιορισμένη (αρθ. 1, 2 και 5). Η Επιτροπή συνιστά στο Συμβαλλόμενο Κράτος να συνεχίσει τη διαβούλευση και την εντατικοποίηση του διαλόγου με οργανώσεις της κοινωνίας των πολιτών που δραστηριοποιούνται στον τομέα της προστασίας των ανθρωπίνων δικαιωμάτων, ιδίως εκείνων που εργάζονται για την καταπολέμηση των φυλετικών διακρίσεων, σε συνάρτηση με τη σύνταξη της επόμενης περιοδικής έκθεσης και με την παρακολούθηση της εφαρμογής των τυρινών καταληκτικών παρατηρήσεων. Οι συστάσεις των Επιτροπών του ΟΗΕ βασίστηκαν σε σημαντικό βαθμό σε εκθέσεις που υποβλήθηκαν και προφορικές παρουσιάσεις που έγιναν σε αυτές από το Ελληνικό Παρατηρητήριο των Συμφωνιών του Ελσίνκι (ΕΠΣΕ) και την Ελληνική Ομάδα για τα Δικαιώματα των Μειονοτήτων (ΕΟΔΜ) διαθέσιμες στην ιστοσελίδα https://greekhelsinki.wordpress.com/category/οηε-un/ . Στις 26 Αυγούστου 2016 η Επιτροπή για την Εξάλειψη Κάθε Μορφής Ρατσιστικών Διακρίσεων (CERD) δημοσίευσε τις συνημμένες καταληκτικές παρατηρήσεις και συστάσεις της μετά την εξέταση της Ελλάδας για την εφαρμογή της Διεθνούς Σύμβασης για την Εξάλειψη Κάθε Μορφής Ρατσιστικών Διακρίσεων (ICERD). Για την εξέταση αυτή, στην οποία ο γράφων συμμετείχε, δημοσιεύθηκαν ήδη ένδεκα άρθρα του στην ενότητα «Ρατσιστικές διακρίσεις στο μικροσκόπιο του ΟΗΕ». Η CERD υιοθέτησε συστάσεις για την αναγνώριση όλων των μειονοτήτων στην Ελλάδα, συμπεριλαμβανόμενων και των εκτός Θράκης Μουσουλμάνων με βάση τον εθνοτικό αυτοπροσδιορισμό τους, θέμα που αποτελεί εθνικό ταμπού σε ό,τι αφορά τους Μακεδόνες και τους Τούρκους τόσο στη Θράκη όσο και στη Ρόδο και στην Κω, τα δικαιώματα των οποίων έφερε για πρώτη φορά στον ΟΗΕ ο γράφων. Μεγάλη ικανοποίηση προκάλεσε επίσης η διαπίστωση της CERD πως η τροποποίηση του αντιρατσιστικού νόμου το 2014 αποποινικοποίησε το ρατσιστικό λόγο και η συνεπακόλουθη σύσταση να τροποποιηθεί ο αντιρατσιστικός νόμος ώστε να επανέλθει η ποινικοποίηση του ρατσιστικού λόγου. Ανάλογη διαπίστωση έκανε το Νοέμβριο 2015 και η Επιτροπή Ανθρώπινων Δικαιωμάτων του ΟΗΕ. Και τις δύο φορές, η Ελλάδα αλλά και η Εθνική Επιτροπή δια τα Δικαιώματα του Ανθρώπου (ΕΕΔΑ – άρα και οι ΜΚΟ που περιλαμβάνονται σε αυτήν) διαβεβαίωναν πως ο νέος αντιρατσιστικός νόμος είναι καλύτερος από τον προηγούμενο και δεν είχαν κανένα πρόβλημα με την αποποινικοποίηση του ρατσιστικού λόγου, την οποία τεκμηριωμένα και όπως φάνηκε πειστικά παρουσίασε και στις δύο Επιτροπές ο γράφων. Πολύ σημαντικό είναι πως η CERD επέμεινε στην προηγούμενη σύστασή της του 2009 για την ανάγκη διάλυσης ρατσιστικών οργανώσεων κατονομάζοντας αυτή τη φορά τη Χρυσή Αυγή, παρά τη ρητή αντίθεση σε τέτοια ενέργεια από την Ελλάδα και –σιωπηρά- από την ΕΕΔΑ: και πάλι μόνο οι οργανώσεις που εκπροσωπούσε ο γράφων υποστήριξαν τη θέση αυτή με βάση τη συμβατική δέσμευση της Ελλάδας. Επιτυχία είναι τέλος πως η CERD ανταποκρίθηκε στην έκκληση δεκάδων διεθνών οργανώσεων για την ανάγκη αποποινικοποίησης της βλασφημίας, με την Ελλάδα να μην παίρνει θέση κατά την εξέταση και την ΕΕΔΑ να μην έχει καμιάν αναφορά ούτε στο θέμα αυτό. Η CERD έκανε επίσης διεξοδικές συστάσεις για τους Ρομά, τους μετανάστες και πρόσφυγες, τις επιπτώσεις των πολιτικών λιτότητας στα ανθρώπινα δικαιώματα, την απουσία στατιστικών στοιχείων, την ανάγκη αποτελεσματικής συμβολής των ΜΚΟ και μάλιστα των εξειδικευμένων στην καταπολέμηση του ρατσισμού και των διακρίσεων στη σύνταξη των επόμενων εκθέσεων, την ανάγκη κύρωσης από την Ελλάδα διεθνών συμβάσεων και αποδοχής ατομικών προσφυγών στη CERD, καθώς και την ανάγκη συμμετοχής της Ελλάδας στις παγκόσμιες εκδηλώσεις για τη Δεκαετία Ανθρώπων Αφρικανικής Καταγωγής. Η Επιτροπή εξέτασε τις συνδυασμένες (εικοστή ως εικοστή δεύτερη – CERD/C/GRC/20-22) περιοδικές εκθέσεις της Ελλάδας, που υποβλήθηκαν σε ένα έγγραφο, στη 2452η και 2453η συνεδρίαση της (CERD/C/SR. 2452, CERD/C/SR. 53), που πραγματοποιήθηκε στις 3 και 4 Αυγούστου 2016. Στη 2472η και 2473η συνεδρίαση της, που πραγματοποιήθηκαν στις 17 και 18 Αυγούστου 2016, ενέκρινε τις ακόλουθες καταληκτικές παρατηρήσεις. Η Επιτροπή χαιρετίζει την υποβολή των συνδυασμένων περιοδικών εκθέσεων του Συμβαλλόμενου Κράτους, η οποία περιλαμβάνει απαντήσεις στις ανησυχίες που εκφράστηκαν από την Επιτροπή σε προηγούμενες καταληκτικές παρατηρήσεις της. Η Επιτροπή εκτιμά, επίσης, το ανοιχτό και εποικοδομητικό διάλογο με την αντιπροσωπεία του Συμβαλλόμενου Κράτους. (ζ) Το διορισμό Ειδικών Εισαγγελέων για τη διερεύνηση ρατσιστικών εγκλημάτων και τη δημιουργία ειδικών αστυνομικών μονάδων για να βοηθήσουν τα θύματα της ρατσιστικής βίας και άλλων ξενοφοβικών εγκλημάτων. (γ) Το Προαιρετικό Πρωτόκολλο της Σύμβασης κατά των Βασανιστηρίων και Άλλων Μορφών Σκληρής, Απάνθρωπης ή Ταπεινωτικής Μεταχείρισης ή Τιμωρίας, το 2014. Η Επιτροπή εκτιμά τις προσπάθειες που καταβάλλονται από το Συμβαλλόμενο Κράτος να υποδεχθεί και να φιλοξενήσει ένα μεγάλο αριθμό μεταναστών, αιτούντων άσυλο και προσφύγων, και έχει επίγνωση των μεγάλων προκλήσεων που αντιμετωπίζει το Συμβαλλόμενο Κράτος σχετικά με το θέμα αυτό. Η Επιτροπή ανησυχεί ότι τα μέτρα λιτότητας που λαμβάνονται για την αντιμετώπιση της οικονομικής κρίσης στο Συμβαλλόμενο Κράτος είχαν δυσανάλογο αντίκτυπο στις μειονοτικές ομάδες, όπως Ρομά, μετανάστες, πρόσφυγες και αιτούντες άσυλο. Η Επιτροπή ανησυχεί επίσης για τη μείωση του προϋπολογισμού των δημόσιων θεσμών που εργάζονται για την καταπολέμηση των φυλετικών διακρίσεων, όπως η Εθνική Επιτροπή για τα Δικαιώματα του Ανθρώπου, ο Συνήγορος του Πολίτη και η Επιθεώρηση Εργασίας (άρθρα 1, 2 και 5). Η Επιτροπή συνιστά στο Συμβαλλόμενο Κράτος να διασφαλίσει, παρά την οικονομική ύφεση, ότι τα μέτρα λιτότητας δεν οδηγούν σε φυλετικές διακρίσεις και ανισότητα. Η Επιτροπή συνιστά επίσης στο Συμβαλλόμενο Κράτος να πραγματοποιεί εκτιμήσεις των επιπτώσεων πριν από την υιοθέτηση τέτοιων μέτρων λιτότητας για να εξασφαλίζεται ότι δεν εισάγονται διακρίσεις σε βάρος ομάδων ευάλωτων σε φυλετικές διακρίσεις. Η Επιτροπή συνιστά, επίσης, στο Συμβαλλόμενο Κράτος να εγγυηθεί ότι οι περικοπές του προϋπολογισμού για τους θεσμούς ανθρωπίνων δικαιωμάτων δεν έχουν ασφυκτικό αποτέλεσμα στις δραστηριότητές τους να ελέγχουν αποτελεσματικά το προστασία των ανθρωπίνων δικαιωμάτων και ιδιαίτερα των φυλετικών διακρίσεων. Παρά την εξήγηση που παρέχεται από το Συμβαλλόμενο Κράτος ότι οι εθνοτικές ομάδες δεν θεωρούνται μειονότητες, η Επιτροπή θεωρεί ότι σε μια πολυεθνοτική κοινωνία η αναγνώριση εθνοτικών ομάδων μικρότερου μεγέθους μπορεί να τις βοηθήσει να προστατεύσουν την ύπαρξή τους και την ταυτότητά τους. Η Επιτροπή σημειώνει επίσης ότι η Συνθήκη της Λωζάννης δεν απαγορεύει την αναγνώριση άλλων ομάδων ως μειονοτήτων ούτε εμποδίζει τα πρόσωπα που ανήκουν σε διάφορες εθνοτικές ομάδες να ασκούν το δικαίωμά τους στον αυτοπροσδιορισμό. Ως εκ τούτου, η Επιτροπή συνιστά στο Συμβαλλόμενο Κράτος να αναθεωρήσει τη θέση του και να εξετάσει την αναγνώριση άλλων ομάδων που μπορούν να χαρακτηριστούν ως εθνοτικές, ή θρησκευτικές μειονότητες, καθώς και ενθαρρύνει το Συμβαλλόμενο Κράτος να εφαρμόσει τις σχετικές αποφάσεις του Ευρωπαϊκού Δικαστηρίου Δικαιωμάτων του Ανθρώπου. Ενώ σημειώνει με ικανοποίηση τις θετικές πτυχές που ενσωματώνονται στο νέο αντιρατσιστικό νόμο αρ 4285/2014, η Επιτροπή εξακολουθεί να ανησυχεί ότι ο νέος νόμος δεν είναι πλήρως συμβατός με τις απαιτήσεις του άρθρου 4 της Σύμβασης, ιδιαίτερα καθώς δεν ποινικοποιεί τη διάδοση ιδεών που βασίζονται στη φυλετική ανωτερότητα και δεν προβλέπει διαδικασία για την κήρυξη ως παράνομων και την απαγόρευση των ρατσιστικών οργανώσεων. Η Επιτροπή εκφράζει επίσης την ανησυχία της για τη συνεχιζόμενη λειτουργία του πολιτικού κόμματος της Χρυσής Αυγής στο Συμβαλλόμενο Κράτος, το οποίο η αντιπροσωπεία ανέφερε στην εναρκτήρια δήλωσή της ως την πιο σημαντική ρατσιστική οργάνωση, που εμπνέεται άμεσα από νεοναζιστικές ιδέες (αρθ. 4). Υπενθυμίζοντας γενικές της συστάσεις υπ ‘αριθμόν 7 (1985) και 15 (1993) που αφορούν την εφαρμογή του άρθρου 4 της Σύμβασης, η Επιτροπή συνιστά στο Συμβαλλόμενο Κράτος να προσαρμόσει το αντιρατσιστικό νομικό του πλαίσιο ώστε να είναι σε πλήρη συμμόρφωση με το απαιτήσεις του άρθρου 4 της Σύμβασης, και να εξασφαλίσει την αυστηρή εφαρμογή του. Το Συμβαλλόμενο Κράτος πρέπει, μεταξύ άλλων, να κηρύξει παράνομες και να απαγορεύσει οργανώσεις που προωθούν και υποκινούν φυλετικές διακρίσεις, όπως το πολιτικό κόμμα Χρυσή Αυγή, όπως έχουν ήδη συστήσει ο Ειδικός Εισηγητής για τις σύγχρονες μορφές ρατσισμού, φυλετικών διακρίσεων, ξενοφοβίας και συναφών μορφών μισαλλοδοξίας, καθώς και ο Επίτροπος για τα Ανθρώπινα Δικαιώματα του Συμβουλίου της Ευρώπης. Η Επιτροπή καλωσορίζει τις πληροφορίες που παρέχονται σχετικά με την αυξημένη εφαρμογή της αντιρατσιστικής νομοθεσίας στο Συμβαλλόμενο Κράτος από τις αρχές επιβολής του νόμου και τα δικαστήρια. Ωστόσο, εξακολουθεί να ανησυχεί για την ακόμη χαμηλή επίκληση και εφαρμογή των αντιρατσιστικών νομικών διατάξεων, καθώς και για το χαμηλό ποσοστό καταδικαστικών αποφάσεων από τα δικαστήρια (άρθ. 2). (β) Να λάβει μέτρα ευαισθητοποίησης, συμπεριλαμβανομένης της τακτικής και υποχρεωτικής προϋπηρεσιακής και ενδοϋπηρεσιακής κατάρτισης, ιδίως στην αστυνομία, στις εισαγγελίες, στο δικαστικό σώμα και στους δικηγόρους, σχετικά με το νομικό πλαίσιο που διέπει την καταπολέμηση των διακρίσεων, καθώς και ως προς τη διερεύνηση των καταγγελιών για εγκλήματα μίσους. Η Επιτροπή ανησυχεί για την αύξηση στη ρητορική μίσους από το 2009, που συμπίπτει με την άνοδο του κόμματος της Χρυσής Αυγής, ουσιαστικά στοχοποιώντας μετανάστες, Ρομά, Εβραίους και Μουσουλμάνους, μεταξύ άλλων μέσω των μέσων μαζικής επικοινωνίας, του διαδικτύου και των μέσων κοινωνικής δικτύωσης. Η Επιτροπή εκφράζει επίσης την ανησυχία της για την αύξηση των ρατσιστικών και ξενοφοβικών επιθέσεων, ιδίως εναντίον των αιτούντων άσυλο και των προσφύγων, η οποία επιτείνεται από την οικονομική κρίση στο Συμβαλλόμενο Κράτος. Επιπλέον, η Επιτροπή ανησυχεί για το χαμηλό ποσοστό αναφοράς και καταγραφής των εν λόγω εγκλημάτων, παρά κάποια μέτρα ευαισθητοποίησης που λαμβάνονται για το σκοπό αυτό (αρθ. 2 και 4). (ζ) Να επιταχύνει την υιοθέτηση του υπό διαμόρφωση Σχεδίου Δράσης κατά του ρατσισμού και να του παράσχει τους απαραίτητους πόρους, μετρήσιμους δείκτες, και χρονοδιάγραμμα για την αποτελεσματική εφαρμογή του. Η Επιτροπή ανησυχεί σχετικά με τη συνεχιζόμενη ύπαρξη νομικών διατάξεων περί βλασφημίας και τον κίνδυνο να χρησιμοποιηθούν με τρόπο που εισαγάγει διακρίσεις, κάτι που απαγορεύεται από τις διατάξεις της Σύμβασης (άρθρο. 5 (d) (vii)). Η Επιτροπή συνιστά το Συμβαλλόμενο Κράτος να καταργήσει τα άρθρα 198 και 199 περί βλασφημίας από τον Ποινικό Κώδικα. (γ) Οι Ρομά εξακολουθούν να υποβάλλονται δυσανάλογα με άλλες ομάδες σε συχνούς ελέγχους ταυτότητας, αυθαίρετες συλλήψεις και παρενοχλήσεις από την αστυνομία και άλλους αρμόδιους για την επιβολή του νόμου, σε συνδυασμό με την έλλειψη αποτελεσματικής διερεύνησης, δίωξης και επιβολής κυρώσεων στο προσωπικό επιβολής του νόμου για τέτοιου είδους παραπτώματα (άρθρα 2, 3 και 5). (ε) Να διαβουλεύεται τακτικά, και να διατηρήσει συνεχή διάλογο με όλες τις ομάδες των Ρομά για την ανάπτυξη και εφαρμογή σχεδίων και πολιτικών που τους επηρεάζουν. (στ) Να εφαρμόσει αποτελεσματικά την Εθνική Στρατηγική για την Κοινωνική Ένταξη των Ρομά 2012-2020 με τη δημιουργία μηχανισμών παρακολούθησης και λογοδοσίας στους οποίους θα πρέπει να διασφαλίζεται η εκπροσώπηση των Ρομά, και να παράσχει λεπτομερείς πληροφορίες στην επόμενη περιοδική έκθεση για τις επιπτώσεις και τα αποτελέσματα της. (η) Λάβει μέτρα για να επιταχυνθεί η εφαρμογή του Μηχανισμού Έκτακτης Μετεγκατάστασης με βάση τον οποίο θα μετεγκατασταθούν οι αιτούντες άσυλο από την Ελλάδα προς άλλες χώρες της Ευρωπαϊκής Ένωσης. Η Επιτροπή εκφράζει την ανησυχία της για τις κακές συνθήκες εργασίας των εργαζομένων μεταναστών, κυρίως εκείνων που εργάζονται στον τομέα της γεωργίας και της άτυπης οικονομίας, έχουν χαμηλό εισόδημα, δεν έχουν κάλυψη κοινωνικής προστασίας, διαβιούν σε δύσκολες συνθήκες υγιεινής και ασφάλειας και εργάζονται για πολλές ώρες. Η Επιτροπή εκφράζει επίσης την ανησυχία της για τις πληροφορίες που έλαβε και δείχνουν ότι οι “πρακτικές Μανωλάδας” που δεν έχουν ακόμα εξαλειφθεί (άρθρα 5 και 6). (γ) Να εξετάσει την επικύρωση των Συμβάσεων της Διεθνούς Οργάνωσης Εργασίας αριθ. 129 σχετικά με την Επιθεώρηση Εργασίας (Γεωργία) του 1969,την αρ. 97, σχετικά με τη Μετανάστευση για Εργασία (αναθεωρημένη) του 1949 και την αρ. 189 για την Αξιοπρεπή Εργασία για Εγχώριους Εργαζόμενους του 2011. Έχοντας υπόψη το αδιαίρετο χαρακτήρα όλων των ανθρωπίνων δικαιωμάτων, η Επιτροπή ενθαρρύνει το Συμβαλλόμενο Κράτος να εξετάσει την επικύρωση των διεθνών συνθηκών για τα ανθρώπινα δικαιώματα που δεν έχει ακόμη επικυρώσει, ιδίως τις συνθήκες με τις διατάξεις που έχουν άμεση σχέση με κοινότητες που ενδέχεται να είναι αποδέκτες φυλετικών διακρίσεων, όπως η Διεθνής Συνθήκη για την Προστασία των Δικαιωμάτων Όλων των Εργαζόμενων Μεταναστών και των Μελών των Οικογενειών τους. Λαμβάνοντας υπόψη τη γενική σύσταση αρ. 33 (2009) για την παρακολούθηση της Διάσκεψης Επανεξέτασης της Διακήρυξης του Durban, η Επιτροπή συνιστά, κατά την εφαρμογή της Σύμβασης στην εγχώρια έννομη τάξη, το Συμβαλλόμενο Κράτος να θέσει σε ισχύ τη Διακήρυξη και το Πρόγραμμα Δράσης του Durban, που εγκρίθηκε τον Σεπτέμβριο 2001 από την Παγκόσμια Διάσκεψη κατά του Ρατσισμού, των Φυλετικών Διακρίσεων, της Ξενοφοβίας και της Μισαλλοδοξίας, λαμβάνοντας υπόψη το σχετικό έγγραφό της Διάσκεψης Επανεξέτασης της Διακήρυξης του Durban, που διεξήχθη στη Γενεύη τον Απρίλιο 2009. Η Επιτροπή ζητά από το Συμβαλλόμενο Κράτος να συμπεριλάβει στην επόμενη περιοδική έκθεση του συγκεκριμένες πληροφορίες σχετικά με τα σχέδια δράσης και άλλα μέτρα που έλαβε για την εφαρμογή της Διακήρυξης του Durban και το Πρόγραμμα Δράσης σε εθνικό επίπεδο. Λαμβάνοντας υπόψη το ψήφισμα 68/237 της Γενικής Συνέλευσης, με το οποίο η Συνέλευση ανακήρυξε τα έτη 2015-2024 Διεθνή Δεκαετία Ανθρώπων Αφρικανικής Καταγωγής, και το ψήφισμα 69/16 σχετικά με το πρόγραμμα δραστηριοτήτων για την υλοποίηση της Δεκαετίας, η Επιτροπή συνιστά στο Συμβαλλόμενο Κράτος να συντάξει και να εφαρμόσει ένα κατάλληλο πρόγραμμα μέτρων και πολιτικών. Η Επιτροπή ζητά από το Συμβαλλόμενο Κράτος να συμπεριλάβει στην επόμενη περιοδική έκθεσή της συγκεκριμένες πληροφορίες σχετικά με τα συγκεκριμένα μέτρα που υιοθετήθηκαν στο πλαίσιο αυτό, λαμβάνοντας υπόψη τη γενική της σύσταση αρ. 34 (2011) για τις φυλετικές διακρίσεις σε βάρος των ατόμων Αφρικανικής καταγωγής. Η Επιτροπή συνιστά στο Συμβαλλόμενο Κράτος να επικυρώσει την τροπολογία στο άρθρο 8 (6) της Σύμβασης που εγκρίθηκε στις 15 Ιανουαρίου 1992, κατά τη δέκατη τέταρτη συνάντηση των Συμβαλλομένων Κρατών της Σύμβασης και εγκρίθηκε από τη Γενική Συνέλευση στο ψήφισμα της 47/111. Η Επιτροπή ενθαρρύνει το Συμβαλλόμενο Κράτος να κάνει την προαιρετική δήλωση που προβλέπεται στο άρθρο 14 της Σύμβασης αναγνωρίζοντας την αρμοδιότητα της Επιτροπής να λαμβάνει και να εξετάζει ατομικές προσφυγές. Η Επιτροπή ενθαρρύνει το Συμβαλλόμενο Κράτος να υποβάλει ένα κοινό βασικό έγγραφο που αντικαθιστά το βασικό έγγραφο του που χρονολογείται από το 2002, σύμφωνα με τις εναρμονισμένες κατευθυντήριες γραμμές σχετικά με την υποβολή εκθέσεων στο πλαίσιο των διεθνών συνθηκών για τα ανθρώπινα δικαιώματα, ιδίως εκείνες που αφορούν το κοινό βασικό έγγραφο, όπως εγκρίθηκαν κατά τη πέμπτη συνεδρίαση της μικτής Επιτροπής για τα όργανα παρακολούθησης των συμβάσεων για τα ανθρώπινα δικαιώματα, που πραγματοποιήθηκε τον Ιούνιο 2006 (HRI/GEN/2/Rev.6, κεφ. I). Λαμβάνοντας υπόψη το ψήφισμα της Γενικής Συνέλευσης 68/268, η Επιτροπή καλεί το Συμβαλλόμενο Κράτος να τηρήσει το όριο των 42.400 λέξεων για τέτοια έγγραφα. Σύμφωνα με το άρθρο 9 (1) της Σύμβασης και τον κανόνα 65 του Κανονισμού της, η Επιτροπή ζητά από το Συμβαλλόμενο Κράτος να παράσχει, εντός ενός έτους από την έκδοση των τωρινών καταληκτικών παρατηρήσεων, πληροφορίες σχετικά με την εφαρμογή των συστάσεων που περιέχονται στις παραγράφους 23 (ε και στ) και 25 (β) ανωτέρω. Η Επιτροπή επιθυμεί να επιστήσει την προσοχή του Συμβαλλόμενου Κράτος στην ιδιαίτερη σημασία των συστάσεων που περιέχονται στις παραγράφους 13, 17 και 21 ανωτέρω και ζητά από το Συμβαλλόμενο Κράτος να παράσχει λεπτομερείς πληροφορίες στην επόμενη περιοδική έκθεσή του σχετικά με τα συγκεκριμένα μέτρα που έλαβε για την εφαρμογή αυτών των συστάσεων. Η Επιτροπή συνιστά στο Συμβαλλόμενο Κράτος να θέτει άμεσα στη διάθεση του κοινού τις εκθέσεις του τη στιγμή της υποβολής τους καθώς και οι καταληκτικές παρατηρήσεις της Επιτροπής σε σχέση με τις εκθέσεις αυτές να δημοσιοποιούνται με τον ίδιο τρόπο στις επίσημες και άλλες διαδεδομένες γλώσσες, ανάλογα με την περίπτωση. Η Επιτροπή συνιστά στο Συμβαλλόμενο Κράτος να υποβάλει από κοινού την εικοστή τρίτη και εικοστή τέταρτη περιοδική του έκθεση, ως ένα ενιαίο έγγραφο, μέχρι τις 18 Ιουλίου 2019, λαμβάνοντας υπόψη τις κατευθυντήριες γραμμές για την υποβολή εκθέσεων που εγκρίθηκαν από την Επιτροπή κατά τη διάρκεια της εβδομηκοστής πρώτης συνόδου της (CERD/C/2007/1) απαντώντας σε όλα τα θέματα που θίγονται στις παρούσες καταληκτικές παρατηρήσεις. Λαμβάνοντας υπόψη το ψήφισμα 68/268 της Γενικής Συνέλευσης, η Επιτροπή καλεί το Συμβαλλόμενο Κράτος να τηρήσει το όριο των 21.200 λέξεων για τις περιοδικές εκθέσεις. Εγκρίθηκαν από την Επιτροπή κατά την ενενηκοστή της ολομέλεια (2 έως 26 Αυγ 2016 – CERD/C/GRC/CO/20-22).